A Few Scraps: Crafted Applique, and a ray of giveaway sunshine! Hooray, I got myself to sit in front of my computer long enough to blog! 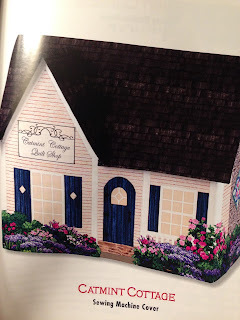 Today it's because my blogger friend Lara B. sent me her new book, Crafted Appliqué - New Possibilities. I've been so curious about it ever since she told me what she was working on. "A new approach to appliqué" she would say. What could it be? I wondered. Eventually I got a look at the cover and became even more curious. The detail! How does this super cute appliqué look so perfect? I dove into the book to find out, and I am delighted. Lara has developed a simple approach to appliqué that takes the best of other methods and comes out with a quick, non-toxic solution that gives better results than other raw edge appliqué methods. Three years from now everyone's going to be using this method all the time and we'll hardly remember a time that we bought that other stuff with the paper when we wanted a quick appliqué. Seriously, it's that kind of "aha!". Lara shows off her method with a ton of cute projects. The structural house sewing machine cover is my favorite (and not because Lara used my selvage fabric on the inside, it's charmingly clever!). After seeing all Lara did with the projects in the book, I had to try the method myself. I prepared some fabric using Lara's simple and well-documented process, and then cut out a flower. I fused it to the fabric and straight-stitched it down for good measure. This happened at approximately midnight. Did I mention it was fast? That's good because I'm exhausted this year. Normally with fused appliqué I would zigzag stitch, but Lara promised good results and no need to zigzag, even with washing, and I wanted to see for myself. I'm so glad. All those little petals would have been a nightmare to zigzag around. Here is the appliqué after a machine wash and dry the next morning. The edges held up great, no fraying! And here's the happy, toothless girl it delighted. So are you curious? Good! I don't want to spoil Lara's hard work and tell you how it's done, Crafted Appliqué does that so well. And here's a sweet chance to get your hands on it, Lara is letting me pick a lucky reader to send a copy of the book to! To enter the giveaway, leave a comment on the blog post telling me something you do to stay calm when life gets stressful. Don't email me! Comment on the blog! I'll choose a winner this weekend. The giveaway is now closed, thanks everyone! I'll be sure to show pretty pictures and give a sewing and life update when I come back to announce a winner. I've been missing blogging! Sewing and cooking both calm me, as does eating chocolate(!) I'm intrigued by this new appliqué technique and would love to try it out so thank you for the chance to win a copy of the book. Sewing is how I relax myself, so hopefully seeing isn't the cause of the stress! Sewing has always been my therapy but I always have to remind myself to give my problems to God and He will work everything out. Sewing and quilting is my stress relief. It's how i recharge. I hand quilt most of my quilts. It's a great de-stresser and a peaceful way to slow down the pace each evening. I do yoga and then have a cup of tea. It really works for me. Hi Christina, Nice to meet you. My first visit here! Just been reading your post about "Quilt as you go", and it's given me an idea of how to use some of my scrappy pieces ..... for that, I thank you! I hope you continue to feel able to return to blogging, and that this means your situation is easing a little now. Whoops, missed out the bit about what calms me, which is hand stitching, and especially embroidery! When I am really stressed, it helps to either sit down at my loom and weave for a while - OR- go for a walk. Both allow me to let go of the stress. I have been following this blog hop in hopes of winning a copy of the book. Very cute test for this! Stress relief is to sew, have a cup of tea and add chocolate! Stress relief comes in the form of any kind of quilting related activity. Planning projects, starching fabric and so on. Basically, anything that can take my mind off of what's stressing me out. I try to always have a hand sewing project going so when the stress hits I grab the hand sewing (or I would be grabbing the food). Thanks for the great giveaway. I love applique and am very curious about this new method. I sew when life gets stressful, of course! Thanks for the giveaway. Christina, I'm so glad that your "tiny selvages" fabric led me to meet you and that we became friends! It was an unexpected blessing! When I am very stressed out, I try to find things that will make me laugh. Even when things are super horrible, laughter helps. I'll go on Pinterest and look at lots of humor posts. The Tumblr posts that make it to Pinterest are usually funny. Going for walks is another good thing to do, especially if you can walk somewhere with natural beauty. Lots of chain piecing is very meditative when I'm stressed. Thanks for the chance to win the book, I've just been plotting my next appliqué project so the timing is perfect! I work on a quilt or color in one of my Basford adult coloring books. Both are so soothing to me. Christina; so glad to see a blog from you! you've got my curiosity about this method of applique. BTW is this the adorable artist daughter who colored the calendar cover? LOVE how that flower applique turned out - been wanting to try some flower collage - this method would save a lot of thread! Take a long walk in nature, or go kayaking, the water is so calming. Now if it is winter that is a hard one! Hope all is well with you. I knit and that really relaxes me. The repetition of knitting is soothing and calming. I SEW when life gets stressful. Piecing keeps my mind occupied as I need to concentrate on those cuts and seams. Walk preferably by water, indulge in a little ritual jasmine tea drinking or play iPad solitaire it numbs the brain. Cup of tea and snuggling with my two dogs...with a quilt of course! i close my eyes and listen to the sound of my breathing as i take several deep breaths and then go sew. I go to my sewing room when the stress hits. Nothing like fabric to melt away anxious moments. Thank you for a chance to win. If I feel stressed, I either quilt or read. Either can get my mind off of what's gone wrong. I retired from working for 41 years to relieve my stress! Thanks for the opportunity to win a copy of Lara's book. Can't wait to learn a new technique for applique. I sew when I'm stressed, which isn't often because I sew all the time! But back when I was a newlywed and my husband was working at his first full-time church job, I took up counted cross-stitch so I wouldn't strangle any deacons - I guess that counts as a stress-reliever!! Nice to see you blogging again, and your daughter has a beautiful smile!! Great review, by the way - mine comes up on Friday! I'd love to have a copy of this book. It looks very interesting. Reading is a stress reliever for me. Even better, is reading, while soaking in a nice bath. I go for a walk outside. Fresh air and getting out of the house always helps. I take a long walk in fresh air when life gets stressful. My life has been insanely stressful the last few years--my mom (my rock all my life) has dementia and no longer knows me; I am estranged from my sister over issues with my mother; my daughter went off the deep end after a really nasty divorce and the aftermath and I ended up with my grandson (2 at the time) for a year while CPS had their way with the situation; my dear mother-in-law and best friend succumbed to pancreatic cancer in January; my brother committed suicide in February; my sweet son-in-law (the daughter who had it all together) finally beat his brain cancer by leaving this mortal plain on April 8. Whew. Some days I am amazed I am still standing. Creating things reduces my stress. I make and gift a LOT of baby quilts--seven so far just in 2016! They are small, relatively quick, and allow me to play with new techniques and patterns. And people (usually) are so appreciative. In fact, I finished an applique quilt with prairie points and shipped it off on Monday! Digging in the dirt helps me, too. I hear there are microbes in the soil that get absorbed through the nailbeds that are natural antidepressants. I know the sunshine and fresh air lift me up. And watching my plants grow! I love to can--jam, jelly, meat, fruits, veggies, etc. Seeing my jars on the shelf fill me with peace and contentment. Opening up a few jars for a fast meal faster than fast food, makes me feel happy, and maybe a little smug. Best of all is if I can my own homegrown foods. Creating something is calming to me. I will piece or fondle my fabrics or draw up a new quilt idea. Walking/jogging & exercise is calming for me. I also use aromatherapy and world music (native flutes, water sounds)to relax which I adopted to ease my insomnia. Find whatever centers you and do that to find you some inner peace. My creative outlets are what calms me: digging in the dirt and planting flowers, heading to my sewing studio to sew a bit, knit on current project, cook up something delicious, or sit on the patio and watch all the hummingbirds at the feeders. That appliqué looks very interesting. Anxious to learn about it. Hope my lqs has the book. I like to take the time to look at patterns and blogs to see what others are creating to relax and stimulate my creative juices. A warm cup of tea, a sewing machine and some fabric fondling....help me relax and recharge!!! When I feel stressed, I usually like to read a good fiction book. I can get lost in a story and it takes me away and clears my mind. I either get lost in a good book ( current favourite author is Kate Morton with The Forgotten Garden) or do some English paper piecing. I hide out in my craft room to try and relieve some stress! A short hike along Lower Macleay trail in Forest Park is always calming. I love waling right along the creek. I read, take a walk or quilt! I sew ,clean like a maniac,or crochet! I really like to practice Yoga to stay calm. There is something about the breathing that helps. Cute sweatshirt...thanks for sharing the giveaway! Sewing a quilt together, or quilting on my long arm that is my stress reliever. Well, this may sound odd, but I usually write about it. If the stress is caused by something that is happening to someone else, I need to make notes to keep my head. If the stress is happening directly to me, like when my Dad passed away, I sit down and type about what is happening. I don't go on and on forever. I just get my thoughts out during the time I'm feeling stressed. Thanks for the opportunity to win! When life gets stressful I take a walk in the ravine at the end of our block. It's beautiful at any time of year....I found out about the blog hop at Red Letter Quilts. It's been great fun to discover new-to-me bloggers. And I definitely want to get Lara's book. I enjoy machine applique and anything I can do to enhance efficiency is welcome. When I get stressed out I stop and just breathe deeply. If possible I take a walk on our farm up a long field...by the time I return home I'm usually calm. If I can't get outside I pray, think of my blessings and think of things I'm grateful for. Sewing, quilting, daydreaming about quilts helps but sometimes those are the stressors. make khichdi (rice and lentils cooked together like a porridge) and eat it with spicy chutney. I like to read a fun book to relieve stress. HI,I lie down and pray to Jesus for Grace! Thank You! Very interesting. I would like to say quilting but actually weeding is better choice for emptying my mind. I grab my cat to love her up, she purrs at the site of me and that in of itself calms me immediately! Of course I sew to stay calm! Just kidding (well, not really) but seriously, I do often lock myself up in the bathroom for a hot bath with a book and a glass of wine, or I take a nice long walk or run along our local river or our own farm road. And several years ago I tried a meditation app which I enjoy for "preventive" medicine. Love your blog and your craftsy classes! What calms me? Stopping to doodle our play with fabric. What do I most often do? Catch up on Facebook on my phone! Cooking and go walking calms me. What a cutie! The shirt is great too. I have to just take it a day at a time when I'm stressed. When life is stressful I go outside and pet my dogs! Chocolate and some nice music soothe my soul when stressed. I have got one of those motivational sayings pinned up on the wall that I look at. Picture features a frog and it says..."Today I will trust that everything will be ok". Probably sounds silly but it does help me calm when facing some storms. Your toothless daughter is darling in her appliqued shirt! When I'm stressed, I like to clean. Not really "like" it, but I tend to do it to keep busy. It reduces the stress and I get a clean house...double bonus! Oh, dear, I'm afraid I have a dish of ice cream when I'm stressed. It would be better if I exercised - so do as I say and not as I do. I am totally curious about this new applique method. What I do to stay calm in life's craziness is try to remember that God is God and I am not; He is in control of things and is far wiser than I am. When I do that, He gives me His perfect peace! I turn on TV and get out quilting magazines/books. Truth be told, I have my husband take the kids out of the house for a little so I can catch up on quilting, sleeping, eating, or just hearing myself think. Oh, fabulous result! I am so curious! When I need to stay calm when life gets stressful, I do a few things- First, I ask for housework help from my family, and try to get my surroundings less cluttered. If it is a lot of stress, I have found that making a routine of sewing some English Paper Piecing, every night, to be very relaxing, and I feel I am accomplishing something, no matter how small. Finally, I seek out either an entire album of music to listen too, or a TED talk that fits the bill, and I take a bus ride with my headphones on. I find that helps me focus on the moment, and dream a little. I come away very refreshed! when the stress is more than sewing can handle (or when sewing is stressful too) then I go out and dig in the garden. Dirty fingernails and a warm bath afterwards do wonders! Looks interesting. Your daughter seems pleased! When I'm stressed, I head out of doors. I hike a trail through the woods or along the shore, or through the park. This time of year is the best. I can sit on the front porch have a glass of ice tea and let the world go by. However sometimes it just is stressful. Meditate. When stressed, I walk and do a yoga relaxation routine. When stress knocks down my door, I get outside for some fresh air and nice long walk. Something about walking past other people's homes, thinking about the people that live there, and knowing that, on some level, everyone has their own stressors that they deal with. Helps me understand that this, too, shall pass. Like a lot of others, I find stress relief in my creativity, be it sewing or quilting projects...........wine helps too. LOL! When I'm stressed I PRAY!!! I turn on beautiful music- usually peaceful or praise music and I sit and drink hot tea or coffee and flip through a quilting magazine, and dream of possibilities. I find that riding my bicycle relieves stress. I love the sense of freedom and I love being outdoors! sitting to the sewing machine, doing something I have to think about gets my mind of other things. slow, deep breathes and then off to my sewing room. I have several tools in my tool belt when it comes to stress reduction. Often I take my two dogs for a walk. But I also do Tai Chi and of course there is nothing like quilting your worries away. Long car rides stress me, so I use a little aroma therapy stick that calms me down. Hand sewing also helps me decompress. I do a lot of walking everyday and that seems to keep the stress at bay. Thanks for the giveaway ~ looks like a great book! When I need some calm, I head into my sewing space. No need to sit to sew, even just entering the room calms me down. Sometimes I sew. Sometimes stress makes me unable to sew. Sometimes I'll drink a cup of tea. Take a long walk. I recommend a daily walk for stress, actually. Happy to see you in my blog RSS. :) I knit when I'm stressed. The rhythm calms me down so does the sitting. I usually sew squares together which will become a charity quilt. Thinking about sewing for "me" is my relaxer. It is great to sew for others but sometimes I need "me" sew time. I play the piano just for myself when I am stressed. It works every time! When I'm stressed, I eat everything in the house. I'll be able to try out for My 600-Pound Life soon if I don't find an alternative way to deal with life. I go into my seeing room, put an audio book on my Kindle and sew. When I'm stressed I pick up one of my 4 cats and take a moment to cuddle and listen to the purring. It's so relaxing. Lately I fix myself a drink and work in the studio. Taking a deep breath then going for a long walk relieves stress for me or doing hand embroidery. Of course quilting is a great stress reliever! But I also find that getting outside and being active is one of the best ways to get my mind on the here and now. Nothing like a day skiing in the Cascades or windsurfing in the beautiful Columbia Gorge to forget all about those niggling things rolling around in my mind. Hand work kept me sane during cancer treatments. DH always knew I was feeling better when I got back behind the sewing machine. Like a cat I tune out what stresses me. I just curl up with my favorite quilt (FMQ with your blog & book help!) And a stack of quilting magazines or my tablet to read favorite blog posts. Cleaning and/or organizing help me when I'm stressed. Once everything is in order I can focus on other things. That sewing machine cover is really cute! I have never done applique because it seemed much too tedious to me, but now maybe not! Sometimes doing some handwork while listening to an audiobook helps me slow down and feel calmer. I'm really curious about this fusing method! When I have done this in the past, I would satin stitch all around each piece which looks great, but takes a lot of time and thread! Using Lara's method is perfect for a project like that. So cute. I always find that sewing is my best stress reliever. Between April, 2016 and August, 2016, I will have become a grandmother for the first time by way of my oldest married son and had two more weddings for the other two sons. I have not sewn as much as I would like, but just go to the machine, stitch for a few minutes, look at fabric, look at patterns....and feel my tension ease :). With all this "looking" I have many projects lined up in my head to work on after the happy (but stressful...) events!! Other than making quilts, nothing calms me better than to just go sit by a flowing stream. It seems as if the flowing water just washed all negativity from my brain! I make hexies because they are so easy and I can make them anywhere. It is amazing to sit down for an hour listening to the tv or radio and then see how many you have made in such a short time. I have bags of them-now just what to make! I would love to find an easier way to applique. This looks amazing. I haven't been a fan of applique, but you definitely have me intrigued. I hope I win, because I have unnaturally avoided all applique. Thanks for the tip! I sew or read to stay calm. If I'm so stressed that I can't sit for either, I go and spend some quality time with my horse, an American Mustang. He ALWAYS has the power to calm me down, and make me laugh and appreciate my life more. I also do a lot of raw edge applique and if there's a method faster than all that zig zagging of blanket stitching I'm all for it! Music is my sanity saver-making it or listening to it. I especially like to listen to music and walk or go out and pull weeds in my garden to relieve stress too. adorable, your applique is wonderful and the new owner looks so happy about it. wow, when I get super stressed I tend to disappear in my craft room. You can find me either sewing or stamping greeting cards. Turn the TV on, read a book and doze off! Refreshing! Thx for chance to win! Your daughter is a cutie and her shirt looks great. Sewing or knitting are things I do when I need to be calm. Not complex projects usually something simple. Thank-you for the giveaway. I do a lot of deep breathing. I also will take a bike ride when I need a time-out. Sewing helps a lot also. Breath deep...then go to Starbucks. I quilt when things get stressful. I just take a deep breath and let the stress just float away! Looks like a great book! Thanks! When things are stressful I quilt or crochet. Great calming activities! I drink a cup of tea, any flavor--seems to help me calm my nerves or get to sleep. I am never stressfull, I quilt! I like to put on some nice music, it's a great way to de stress! When life gets stressful I take a 5 minute break of fast paced walking and stretching. If I am still stressed I allow myself one extra helping of dark chocolate. I would love to win a copy of this book. My life has been quite stressful this year as well. I try to find quiet time to breath and to clear my mind. It also helps to remember that I can't control everything. I have done some machine applique before. I am very intrigued about this new method! Never to old to try something new! When there is too much to do or I need to calm down, I work on a 300 to 500 piece puzzle without looking at the picture.the size of the puzzle allows me a hiatus from life for a few hours while I focus on color, shape, and pattern of the puzzle. It is a mini vacation from my life. Often I find that any problems get solved without consciously thinking about them. My mind is calmer and my sou is re-energized after this break from "reality." Walking my dog on the beach will calm me everytime. I have taking up walking when I need a break from something stressful. I wear sunglasses, a hat, bring a book with a backpack and purse. Sometimes with some one else, often alone. I enjoy seeing the changes in the plants and seeing new things. Then in my dream world I come back and sew! Would be wonderful to learn this new new technique for applique! thanks for the chance. Stress. Sounds like my everyday life. Believe it or not to relieve my stress I walk away from my Quilting studio and read a book. It has to be a quick read mystery so I don't stress about working on my clients quilts. A fast easy applique? Count me in! Stress can be so dibilitating. Hard to overcome. Quiet time with a cup of coffee and a needle or hook is my answer...clear your mind. I spend some time at the spinning wheel. It always calms me--the repetitive hand/foot motions are soothing. While I love being at the sewing machine, the wheel is my stress reducer! My instant thought was prayer, secondly any part of sewing. Especially pick out a project and the fabric for it. Stay calm, quilt on!!! Sewing is the only thing that makes be be in a zen state. I'm thankful I have it. When life gets stressful, I read. And I piece. And I do wavy walking foot quilting. And then, as the stress starts to lift, I do free motion quilting. Hmmm. Life doesn't get too stressful anymore: my kids are grown up!! But then again, tax time, yes, that gets stressful since I do our home taxprep and the tax prep for our business!! The most stressful part is when something in the books doesn't balance: I check the numbers several time, and then if it still doesn't work, I pray! Really!! It does work! God loves us and wants to help us! It's the best help ever! Well, I try to avoid stress at all costs anymore, but I used to be really stressed out by visiting my mother-in-law...she'd push food that I didn't like (or couldn't eat!) until I was almost furious with frustration, so I took up knitting to avoid listening to her. And the more she pushed, the faster those needles flew, lemme tell you! I could knit up a long winter scarf in just a couple of days with her! She's passed now, so my knitting is much slower, hehe. I'd love to see what that new method is - I just can't imagine anything but fusible and satin stitching! But I must admit, I have done stitching around coneflower petals, and you are sooo right - it is a royal pain! I used to do cross stitch to chase away stress. After a neck injury I could no longer do it. I cried for weeks. Talk about stress. That's when I found quilting. It has been a life saver. I'm interested in all forms of this craft. I like to hand sew/epp when I need to calm down. You can't be stressed when you are quietly focusing. I make a cup of tea and find a place where I can be alone. Reading helps. So do embroidery and knitting. When I am stressed and need to calm down --I organize my scraps, such as cutting squares in useable sizes, sort them, iron them, and maybe sketch a new pattern for a scrappy quilt. When I get stressed I find a good book to read. Takes me away to another world. What do I do when life gets stressful? I sew, of course, and submerge myself in the creation. Sewing calms me, and so does walking. Last year I went through a stressful time at work and found that making string blocks was really helpful--hadn't done it before or since. When life gets stressful, I go to my prayer corner, light a candle, and take deep breaths while I pray to the Lord while He takes care of the problem. Thanks for the chance - sounds a very interesing book. To stay calm, I think about quilting.